The announcement of a new boat from Nautor’s Swan is always a red letter day in the big-boat world, and designer German Frers Jr. was typically upbeat about the yard’s latest creation at an informal pre-launch party at the New York Yacht Club. The announcement of a new boat from Nautor’s Swan is always a red letter day in the big-boat world, and designer German Frers Jr. was typically upbeat about the yard’s latest creation at an informal pre-launch party at the New York Yacht Club. Mr. Frers is no back-seat designer—he’s put in lots of hard miles aboard his designs and says this latest boat gives him the opportunity to put flesh on his latest ideas about big-boat construction and engineering. The 105 builds on concepts developed in the 100, 112 and 130. In Swan tradition, the cockpit is divided into relaxing and working areas; a large hydraulically operated integral bimini provides shade. Accommodations are vast, with a full-width owner’s cabin forward and a number of options for guest and crew quarters. 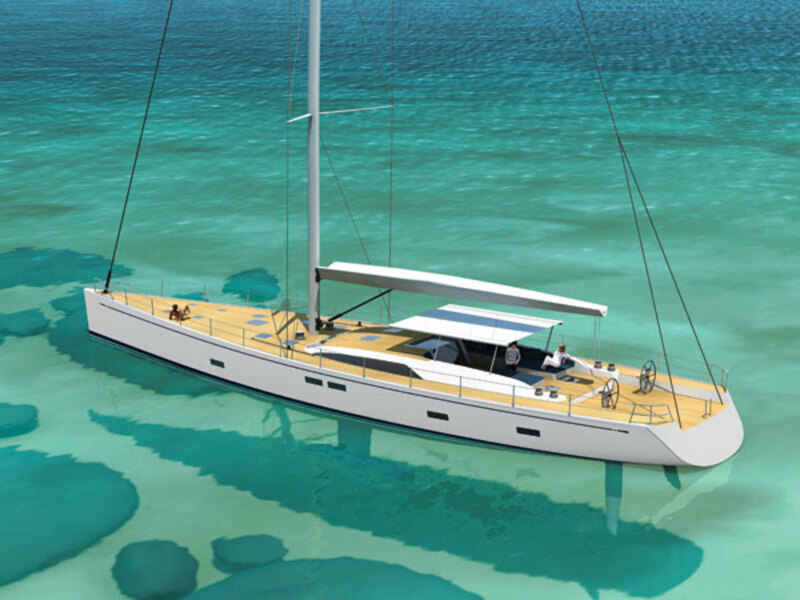 A T-keel, twin rudders and a sophisticated hydraulics package will help keep the massive sailplan under control.